El-Adini Azawakh: Ahadi BOB and BOG-4 in Gibraltar! Ahadi BOB and BOG-4 in Gibraltar! In hard competition from a total of 7 Azawakhs Ahadi was BOB from Junior class at Int. 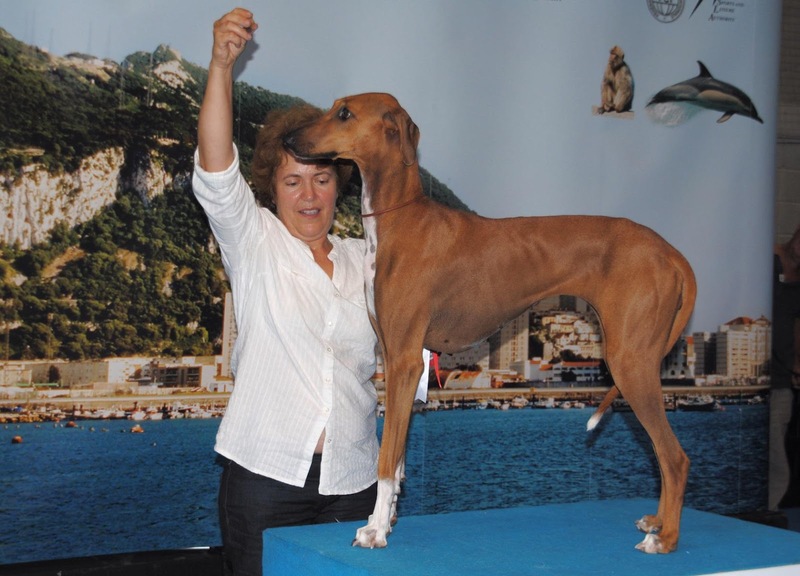 Dog show in Gibraltar. Judge was Unto Timonen, Finland. Later she was placed 4th in group 10, and Best Junior in Group 10.